Hard working men don't have time to screw around with messy sprays that leave them smelling like they were attacked by the perfume lady at the mall. 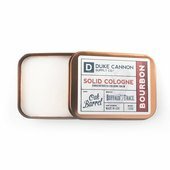 They need a fool-proof way to smell good on the go. 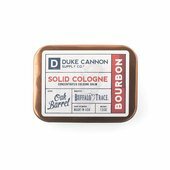 These concentrated cologne balms melt at your fingertips for precision scent application. Traveling tin is perfect for leather briefcases, gym bags, or desk drawers. Made with natural and organic ingredients. A 1.5 oz tin lasts a good long time even with multiple applications per day.